I had heard about clowning but it was something I had very little clue about going in, but it is effectively "mining the depths of your own stupidity." It was delivered by Amadan theatre, in Accidental's space in Shaftesbury Square. It's a difficult skill, because, contrary to most acting disciplines, it requires having no plan, and engaging visually with the audience, and that part of the act is 'flopping' - not having anything to do. The six week course was delivered by David Quinn and Gemma Mae Halligan of Amadan, who I had worked with a couple of years ago as part of a halloween cabaret night. They are great fun, and made everyone comfortable throughout the course. The class finished just in time for Bedlam Bazaar, a cabaret show, so we were tasked with performing at it. My act was fairly straightforward - I literally walked across the stage, but I could only move if the audience was laughing! 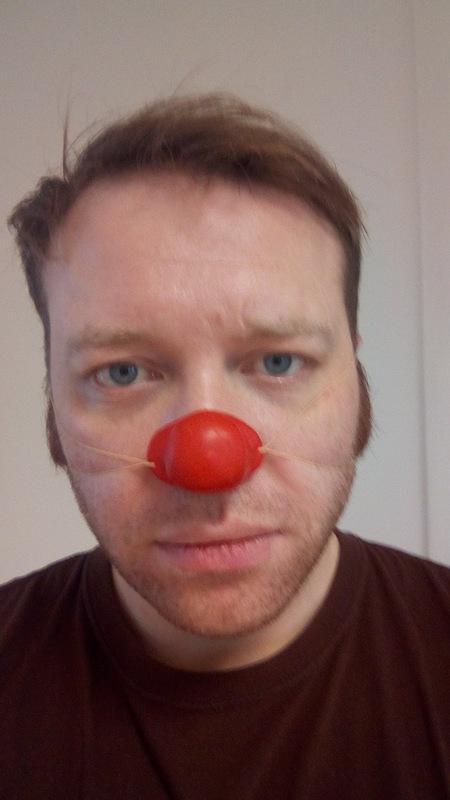 When I got out onto the stage, I (deliberately) had nothing planned so all I could use was my facial expression, and try to hear if people were laughing. 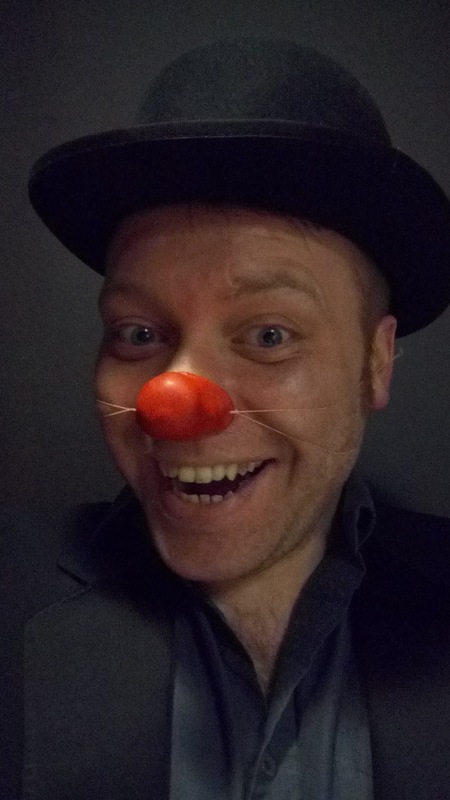 The line up for Bedlam was terrific with a range of acts from burlesque, to circus, to magic, to comedy and live music, featuring Harmony, Vokxen, Soup DuJour, Caolan McBride, Shaw & Lawry, Mr. H, Debbie McCormack and some of the graduates of Clown Lab.